Auckland’s Blues gave the Brumbies Super Rugby play off aspirations a heavy blow by beating the Canberra side 40-15 at Eden Park. The result is a boost for the Waratahs who are in a battle for the top spot in the Australian Conference and play the Hurricanes later in the round. A Waratahs victory or draw against the Hurricanes would push them to the top of the Australian Conference and push the Brumbies out of the play off places with one round remaining. The result is also a small boost for current Super Rugby champions the Highlanders as they are the last placed Wild Card team in the Australasian Group so the loss eases some of the pressure on them. 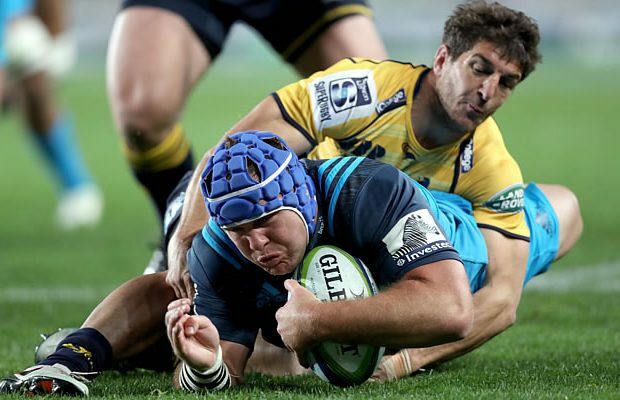 The Blues made a fast start to the match by scoring three tries in the opening sixteen minutes of the match and went on to out score the Brumbies by six tries to two. Jerome Kaino and league convert Matt Duffie both scored two tries. The Brumbies were unable to recover from the Blues four-try blitz and they now need the Waratahs to stumble in one of their final two regular-season matches to have any hope of winning the conference and gaining an automatic home finals berth. 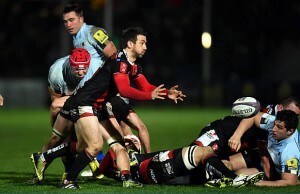 They looked toothless in attack, relying heavily on lineout drives, and captain Stephen Moore said he was disappointed with the way they started a crucial match. “We gave them too many points early, we fell off too many tackles, allowed them to offload… just not good enough,” he said. The Blues, already out of finals contention, played like a side with nothing to lose, throwing the ball around with abandon. Kaino was a massive presence but captain Jamie Parsons said the club’s young talent was also emerging as the three-time champions rebuild following some lean years. “We set a goal at the start of the season to restore a bit of pride in the Blues club,” he said. The result means the Blues have won 13 of their last 15 matches against Australian Super Rugby sides at Eden Park. They can play spoiler for the Australian conference again next week, when they host the Waratahs at the same venue. The Brumbies conceded a try within four minutes when Ihaia West’s kick found Kaino unmarked out wide. Parsons scored the Blues’ second three minutes later after a well-worked lineout move, leaving the stunned Brumbies down 14-0 after Piers Francis added the extras. 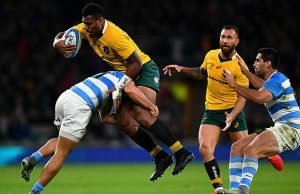 The Australians hit back when referee Ben O’Keeffe awarded them a penalty after Kaino collapsed a maul that had travelled 20 metres, earning himself a yellow card. The Blues continued to attack despite his absence, throwing the ball around with abandon to earn a third try through the unlikely form of prop Sam Prattley. Duffie added their fourth after Steven Luatua’s strong run set him up, virtually sealing the win with only 20 minutes on the clock. A Matt Toomua try and Christian Leali’ifano penalty narrowed the gap to 28-15 at half time. But Kaino reasserted the Blues’ dominance just after the break, crossing from a lineout drive and Duffie added the Aucklanders’ sixth in the dying minutes. The loss is the Brumbies fourth consecutive Trans-Tasman loss and their fifth loss for the 2016 season. The Blues victory is their 7th from this season. Next week in the final round of the regular Super Rugby season the Blues host the Waratahs in Auckland and the Brumbies host the Western Force in Canberra. Sam Prattley, James Parsons ( C ), Ofa Tu’ungafasi, Patrick Tuipulotu, Josh Bekhuis or Scott Scrafton, Jerome Kaino, Kara Pryor, Steven Luatua; Bryn Hall, Ihaia West, Tevita Li, Piers Francis, Male Sa’u , Matt Duffie, Melani Nanai. Replacements: Quentin MacDonald, Nic Mayhew, Sione Mafileo, Gerard Cowley-Tuioti, Blake Gibson, Billy Guyton, Matt Vaega , Lolagi Visinia.